The Freestyle was originally produced as an off-road Mini based kit car. Due to popular demand, the Freestyle has now been submitted for the IVA (Single Vehicle Approval) test and has passed successfully allowing it to be used on the public highway as a road legal vehicle. An extensive set of accessories is available for SVA purposes. The Freestyle was developed with three main aims: An inexpensive kit car that any DIY enthusiast can put together A vehicle that will tackle the roughest of terrain yet still be usable for everyday use. To be as individual as the owner but still capable of passing the current SVA test. The Freestyle Build Manual comes fully illustrated with photographs every step of the way so that you can see exactly how it's done. 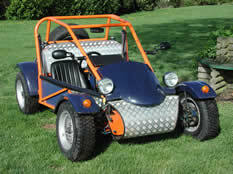 The Freestyle is one of the easiest kit cars on the market to build. You will not need a vast mechanical knowledge to assemble it. 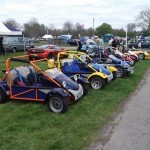 Many parents encourage their older children to help them in the building of their kit car and when completed share in the enjoyment of driving them off road. If it is not practical to have a donor car for any reason, then all parts new and reclaimed can be obtained at very reasonable prices through ourselves. Although the Freestyle was designed to use a Mini as the donor, it is also possible to use a Metro instead of a Mini. See our FAQs page for more technical information. 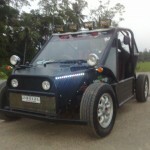 The chassis is a fully welded, pre-drilled, steel chassis with plasma cut bulkheads and pedal box area with integral roll cage and inboard suspension. The Mini's complete front subframe housing the suspension, brakes, engine and gearbox in one-unit bolts to the rear of the Freestyle chassis with modifications carried out to allow operation of a handbrake. For on road use, either Mini or Metro disks are recommended for use on the front. 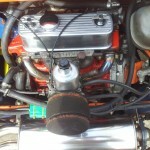 With the completed kit weighing only 460 kilos and the SVA built cars weighing over 520 kilos, and the fitting of a 1275cc Mini engine can give a power to weight ratio greater than most hot hatches on the road. When you get the build manual, and you will have all you will need to know about how the Freestyle is put together. 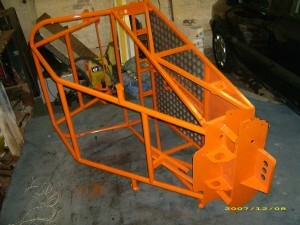 Please remember you will still need to source a chassis the plans are not on how to build the chassis. 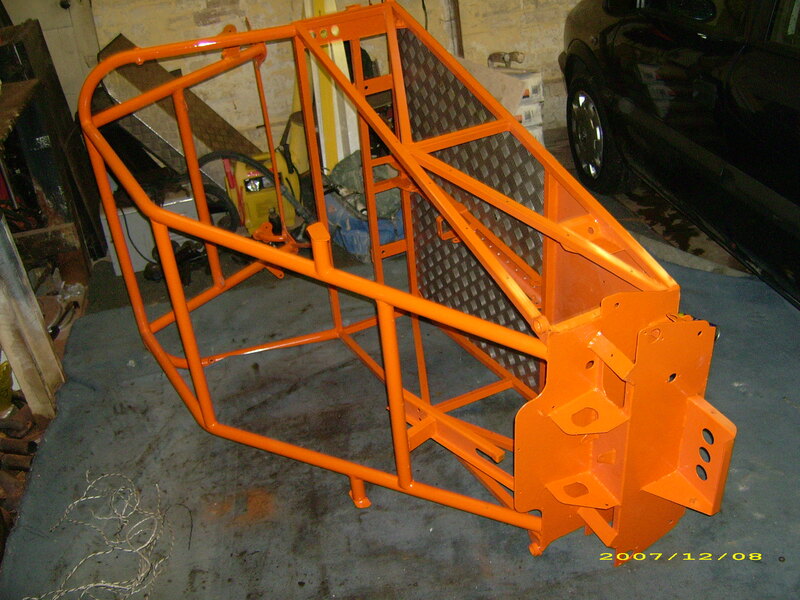 One of the best places to look for chassis is ebay and also the MuddyBuggies buggy forum. The Freestyle Build Manual is only £6 and can be purchased by clicking the buy now buttons below all major credit cards are accepted, and you will be forwarded to a secure payment page. Click below to pay £6 for the Freestyle Build Manual. The Freestyle Build Manual will be emailed to you in a PDF Format so you will need Adobe Reader to view it, but this can be downloaded for free by going to www.Adobe.com. You will receive the build manual instantly after payment is complete.